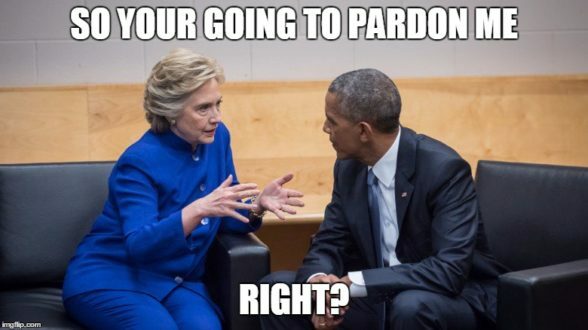 You may have heard a rumour or scuttlebutt concerning secret pardons Obama may have issued to excuse himself and possibly others from illegal or treasonous actions. We’ve engaged in discussions before about annulments, deletion of unconstitutional bills, etc. It’s not impossible and anything put into law that is not in the best interests of the People and America will ultimately be addressed and removed, whatever legal process that involves. It stands to reason that a President, who did not meet the criteria for a presidential candidate, such as Obama, cannot make lawful or constitutional changes within a Republic. Everything Obama did might be null and void and easily stricken. We’ll see what happens with the illegitimate president. We won’t even get into the fact that Washington, DC is a corporation, and not part of the American Republic. That’s a different kettle of fish, but most Americans are unaware. I believe we will learn of more brilliant strategies from the Patriots around such tactics. There is always a way to outsmart the vermin—who aren’t terribly bright. Their hubris is their downfall. Natasha fills in the details on the possible “secret pardon” and other stories from the colourful playbook of the New World Order. CNN, the King of Mockingbird Media Fake News, caught in ANOTHER lie. This is a humourous piece because it’s so transparent, and so ludicrous all we can do is laugh. Who listens to the corporate media any more? Why do they even bother going to work? The controllers conveniently keep what they’re doing in South America out of the American news. Another regime change attempted—but not completed. The following is a great article outlining the strategy for a foreign coup d’état. The world has grown weary of a steady diet of US cabal propaganda, unsolicited meddling and hypocrisy. They are wise to the New World Order now and they do not consent! The globalists’ plans are no longer working. Congressman Jim Jordan discusses the closed door investigation into the Bruce Ohr activity with respect to the fake Trump Russian collusion witch hunt. Australia witnessed another massive fireball yesterday. 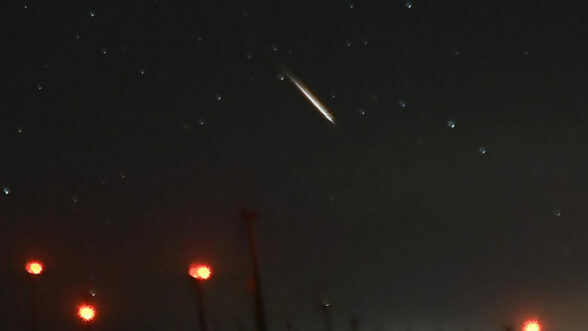 A “bloody huge” meteor that sounded like a “plane crashing” and made dogs go “psycho” dazzled onlookers as it streaked across the Perth night sky on Tuesday. Scientists say it most likely hit Earth. 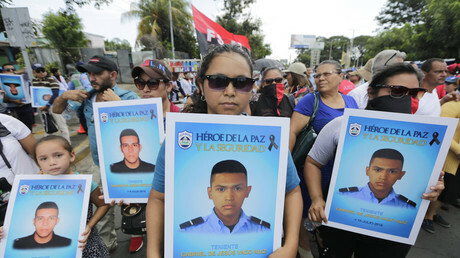 David Zublick has revisited the death of investigative journalist Michael Hastings, who was killed in his car in Los Angeles under highly suspicious circumstances in 2013. Many of us believed he was taken out because of the story he was working on at that time. Federal agents had visited Hastings at his home and he was spooked, leaving town for his safety when his car suddenly sped up and crashed into a palm tree, sending the engine flying out of the vehicle. Some suspect explosives; some, a “Boston Brakes” style assassination. Others have shown us how any newer vehicle can be controlled electronically from a laptop—just as an airplane can be remotely controlled. Was that alleged “hit” about John Brennan? At the time there was a suggestion it was about Obama’s fake birth certificate, but we knew that wasn’t true. That was old news and well understood by then. Thomas Williams will be updating us with his news analyses, intel and Q&A tomorrow afternoon/evening August 30 on the Truth, Honor & Integrity Show at 7:30 EDT/4:30 Pacific on Spreaker.com or via the website at Think Different. This entry was posted in Uncategorized and tagged Afghanistan, assassination, Australia, auto accident, Bruce Ohr, Christopher Steele, CIA, CNN, coup d'état, David Zublick, DOJ, dossier, fake news, FBI, fireball, FISA warrant, Fusion GPS, investigation, Jim Jordan, John Brennan, love, Michael Hastings, Nellie Ohr, Nicaragua, Perth, President Trump, reporters, Robert Mueller, Russian collusion, secret court, Starship Earth, testimony, witch hunt. Bookmark the permalink.